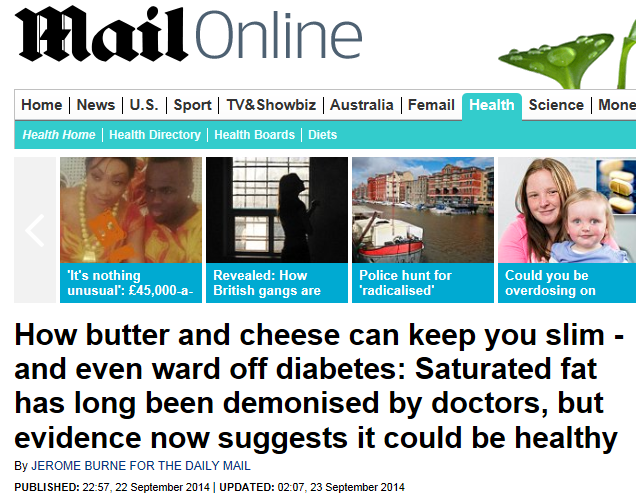 Eating lots of cheese will save you from diabetes ? The last week has seen a run of stories in the UK press suggesting that the solution to diabetes maybe a diet rich in full fat dairy products. The Daily Telegraph’s version of the story was sub headed ‘Eating eight portions of full-fat dairy products a day could cut the risk of diabetes by 25 per cent, a study has suggested’. The Daily Mail’s version of the story even managed to include a swipe at doctors, who had clearly got things very wrong ! What I find rather interesting about this story, and what separates it from the usual run of media health is quite how specific the newspapers are about the study, for example the Telegraph story says ‘The new findings compared people who ate eight portions of full fat diary products a day with those who ate one or fewer per day and found they were 23 per cent less likely to developed type 2 diabetes.”. This same story has appeared around the world, the farthest example I’ve found is this one from New Zealand. At face value this story seems to be reasonably strong, the newspapers reporting that it used a sample of 27,000 people and was conducted by a respected university in Sweden. However, it’s a lovely example to use to encourage students to delve a little deeper into the story. As ever, the UK’s National Health Service provides a great resource for rational thinking about health related stories. The ‘Behind the Headlines’ section of the NHS Choices website does a great job of rapidly unpicking the media’s coverage of health news. What’s interesting here is that this seems to have stemmed from a study conducted over two years ago. This study Europe-wide (of 340,2234 people) did find a relationship between high levels of fermented diary products in the diet and reduced diabetes, HOWEVER the results were rather more complex than that ! A rather different story from the Swedish study that prompted the current round of stories. It’s also of note that the Swedish study is in fact a conference paper that has yet to be published. It could also prompt a discussion about sampling i.e. is a study of 27,00 Swedes more reliable than a study of 340,000 people from across Europe ? All in all, if nothing else this is a great example of getting students to dig a bit beneath the headlines. 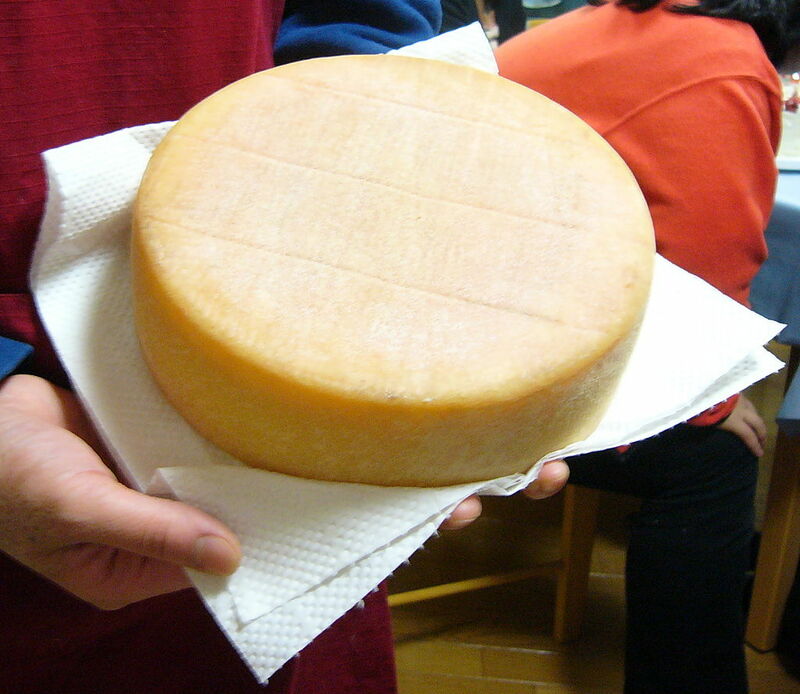 It might also be worth asking students if other illnesses might be made worse by eating large quantities of cheese ! Also a good chance to teach about confounding variables and indirect causation. Do people who eat more cheese eat less carbohydrate as a result? And who sponsored the study (which should be irrelevant, but alas, experience says otherwise)? I’ve just read another one on cherry juice curing gout, that didn’t use gout sufferers as participants !